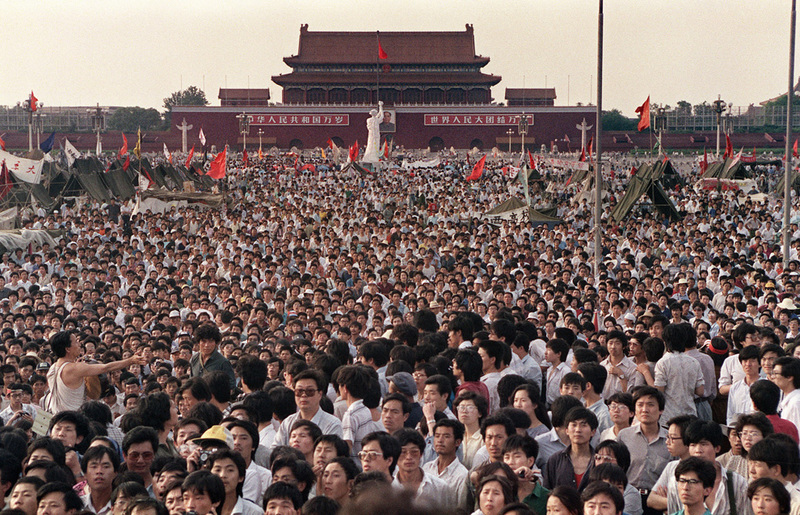 This is part 2 in a multi-part series on songs inspired by or related to the Tiananmen Square Protests/Massacre in remembrance of the 25th anniversary of the massacre. Part One, “Electric Highways” is Here. Okay the subject of this post is number two in the series because 1) All of the other songs that I will include either mention Tiananmen Square in the song, or in the title, or the song writer spoke of the connection. This one is based entirely on speculation. 2) It is a silly, goofy sort of song while all of the rest in the series will be quite serious. Also it is a song that, while it is by a great band, has proved to be rather unpopular over the years. -Q magazine (2005) included it in a list that they called “Ten Terrible Records by Great Artists”. – AOL (2006) rated number one their list “111 Wussiest Songs of All Time”. – Blender magazine put it at #35 on a list of the “50 Worst Songs Ever”. Even the band grew to dislike the song. In 1995 Michael Stipe appeared on the show “Space Ghost Coast to Coast” and said of “Shiny Happy People”, “I hate that song, Space Ghost.” And REM chose to NOT include it on their 2003 greatest hits album “In Time”. BUT one of the reasons that Stipe came to hate the song was apparently that most people were missing that the song was meant as ironic commentary. AND according to internet rumor (and everything that you read on the internet is true, right 🙂 ), the basis for the title and main line of the song “Shiny Happy People Holding Hands” was an English translation of a Chinese propaganda poster that was used by the government just after the Tiananmen Square to make it seem as if their people were happy and content. The Loss of personal rights and civil liberties is a VERY REAL problem in the USA and in the world today and the people who are doing it are actively trying to delude us into sitting back and becoming “Shiny Happy People” who do nothing while they take away our rights. I hope that whether I am in a crowd or on my own, that I am always counted among those who is willing to stand for liberty and civil rights, even when they are unpopular. « Should Mormons Give Money to Panhandlers?